If you are or are thinking of going for the credit regarding paid leave and were waiting for more clarification, you might have your wish. The credit may be claimed by eligible employers and is equal to a percentage of wages paid to qualifying employees while they are on family and medical leave. The credit generally is effective only for wages paid in taxable years of the employer beginning after December 31, 2017, and before January 1, 2020. The impact of state-mandated leave on the availability and calculation of the credit. To be eligible to claim the credit, an employer must have a written policy that satisfies certain requirements. First, the policy must cover all qualifying employees; that is, all employees who have been employed for a year or more and were paid not more than a specified amount during the preceding year. In general, in determining whether an employee is a qualifying employee in 2018, the employee must not have had compensation from the employer of more than $72,000 in 2017. Second, the policy must provide at least two weeks of annual paid family and medical leave for each full-time qualifying employee and at least a proportionate amount of leave for each part-time qualifying employee. Third, the policy must provide for payment of at least 50 percent of the qualifying employee’s wages while the employee is on leave. Fourth, if an employer has qualifying employees who are not covered by title I of the FMLA, the employer’s written policy must include language providing “non-interference” protections. Thus, the written policy must incorporate the substantive rules that must be met in order for an employer to be eligible for the credit. 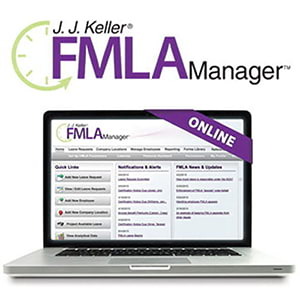 Employers need not be subject to the FMLA to be eligible for the credit. They are also not required to provide notice to employees that they have a written policy in place providing for paid family and medical leave. The FMLA purposes for which paid family and medical leave may be provided are the birth or placement of a child, caring for a family member, the employee’s own condition, qualifying military exigencies, and military caregiver. The IRS intends to incorporate the guidance information into proposed regulations, but will take comments on the guidance until November 23, 2018.